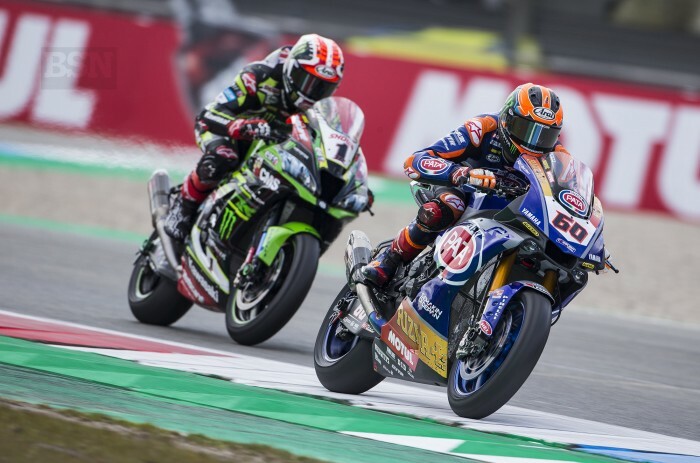 Just when it looked like we were going to have a Bautista first, Rea second, pairing at the top of every single podium in 2019, along comes Michael van der Mark to beat Rea to second place in WorldSBK race two at Assen – VDM’s home circuit. We asked Magic Mikey that if it were not for a little red bike out front somewhere he would have been a race winner at his home track of Assen for the first time. Last year beating Rea would almost always have been enough for such a thing. Of his day VDM said, “Race one was strange because we had to choose for the harder SC1 tyre and I just missed the feeling with that tyre. I could be really consistent but I just could not push harder. “It was hard for me to ride the bike but we knew that. It was my first podium of the year so I was quite happy with it. Then the temperature went up a bit and I chose the softer rear tyre. “Immediately I felt really good. There was a nice group and I was a bit unlucky in some places and a certain point I was sixth and that was not the place I wanted to be. “Slowly I passed some guys and had some nice battles on track and I do not l now how many laps from the end I was behind Jonathan. I saw I was closing in on him but you know he is going to be strong at the end. Two laps before the end I tried so hard to overtake him and when I was in front I pushed so hard but I was struggling with the front and both of us tried everything to be as quick as possible. “I did not give up and I felt it coming because I was a bit late; I opened the door completely or him,” he said. “When he was there - you know he is a good rider so he will always try to make the turn. Sometimes you have to trust each other. We did not want to give up but luckily it ended quite well. Into the last chicane I tried to stop the bike but I had no exit and he nearly passed me on the finish line.